Easy Screenprinted Holiday Gifts: Tools and Finished Products! Like it or not, winter is coming. The holidays are only a few short weeks away! I’m collaborating with Allie at Indiesew today to offer you a crafty idea for friends and family: screenprinted holiday gifts! Allie has an easy screenprinting tutorial on the Indiesew blog, but below is a list of everything you’ll need (besides the fabric) to get started on your screenprinting adventure. Then, be sure to scroll down to see the details of what Allie and I created with our printed fabric! Here are the exact tools we used to create our prints. They’re all good quality materials that should last you quite a while. Buy them to make your own fabric print, or give one or more of them as a gift for the beloved craft enthusiast in your life. Speedball Screenprinting Frame: This guy is the most important part of the screen printing process. Screenprinting frames are available in a variety of sizes; this one is 16″ by 20″, which gives you plenty of room to develop larger patterns and printing areas. 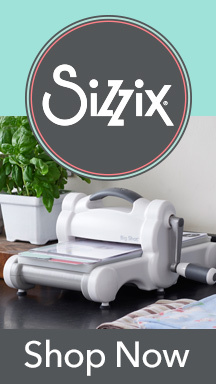 Allie has one of these, which she uses over some cardboard or plywood or something to catch the extra ink. She also has one that’s hinged at the upper edge, with the screen on top and a built-in base on the bottom. That one you can purchase here. Jacquard Screenprinting Ink: Jacquard is an extremely trustworthy brand of screenprinting ink, which you’ll definitely need. (Don’t try to use fabric paint or other types of ink — this is the stuff you want, and it’s not overly expensive.) Allie used the Jacquard Professional line and I used the Versatex for its metallics. We didn’t notice much of a difference at all in the application, but different screenprinting inks definitely do vary in their washability, opacity, and methods for setting. Make sure to choose a screenprinting ink that’s okay to use on fabric, and read the descriptions carefully and follow all instructions. Stencil Ease Blank 12″ x 18″ sheets : These thin sheets of mylar are what you’ll use to create your screen printing stencil. Draw directly on the sheet then cut by hand, or send through a Cricut for designing and cutting your stencil at the same time. Get a size that’s closest to your frame. These are 12″ x 18″, which would work for the 16″ x 20″ frame above. Speedball 10-Inch Fabric Squeegee: You’ll use this to squeegee the ink through the screen and transparency film onto your fabric. You want one that’s wide enough to cover a large area, but not one that’s so large that it’s hard to apply consistent pressure for the entire length of the frame. I like the 10-inch one. a flat surface (table, workbench, etc.) with some sort of lip to brace the frame as you’re squeegeeing. Do you have your materials? Awesome! Head on over to Indiesew to read Allie’s super helpful tutorial for how to prepare your stencils and screenprint your fabric. Once your fabric is completed, it’s time to make some screenprinted holiday gifts! For our demos here, I created a baby quilt and Allie made a tote bag. The same versatile technique created objects in styles that are completely different! Allie’s canvas tote bag has a bit of an urban nautical look. It’s clean and simple, with the Indiesew slogan in a bright red and the base and straps in a really nice dark denim. (She also rinsed off her screen and made a few in some other bright colors!) I love how she elected to use grommets at the top! The printed words are front and center, and it will make a great conversation starter about sewing for whoever carries it around. Next up is my quilt. I used metallic inks to create a little grove of trees. I moved my grove around on cotton fabric, rinsing it off after each application, to create a sort of improv repeat. Then I used some gold to hand paint a few extra gold trees on after screenprinting. After heat setting, I made my fabric (about 45″ square) into a wholecloth quilt, quilting horizontal lines about two inches apart and binding it in a metallic gray and gold double gauze. The whole construction process took me only a couple of hours stretched out over the weekend. It will make a sweet baby gift or, with the addition of a sleeve on the back, a holiday wall quilt. Each project is completely unique because you’ve created your own printed fabric. Get an assembly line going by printing several pieces to sew up at once, or use the same stencil to make different projects. Whatever you make, be sure to share it with us! We’d love to see what you come up with. Posted in surface design, Techniques, Tips and Tutorials, Tools of the Trade | Comments Off on Easy Screenprinted Holiday Gifts: Tools and Finished Products! Craft Room Rescue with the Handy Caddy! This post was sponsored by Handy Caddy. Don’t miss an exclusive discount for Right Sides Together readers at the bottom of the page! I met Sharon Lee of Handy Caddy at Spring Quilt Market, and I was blown away by her perfect solution for craft room clutter. Quilters and sewists come with a lot of stuff: the bits and bobs of notions, cutting and pressing tools, presser feet and pins and clips. Packing for a trip becomes an overwhelming chore, but the price you pay for not doing it well is worse. Getting somewhere and then discovering that you’ve forgotten your thread or your needles is a crafter’s worst nightmare. I also find that when I’m sewing at home, the stuff I need always gets lost in the clutter. It’s a pain to have to open a drawer every time I want something just to keep little items from getting lost. The result is that every last bit of table space becomes a “spot” for something, and even then it’s only a matter of time before my seam ripper goes for a header under the table. SIGH. This is only a slight exaggeration of my sewing table at any given time. But then, accompanied by a choir of angels, arrives the Handy Caddy. It’s a tabletop storage container. It’s a travel case. And it’s pretty much the most efficient way to store a ton of sewing supplies in a tiny bit of square footage. Made of clear vinyl, the Handy Caddy allows you to see everything at a glance. Its metal frame lets it set up anywhere without toppling over or losing items in the bottom. The coolest thing, though? It’s built on the concept of storing items vertically. That way, you can keep a vast amount of stuff within arm’s reach, but you don’t have to sacrifice the valuable real estate you need on your sewing table. On the inside: spray starch, temporary adhesive, Aurifil cone, bobbin storage case, small cutting mat, 8″ square ruler, Add-a-Quarter ruler, another pin box, zipper pouch, paper piecing templates, and book. Oh, and enormous headphones. I could have fit even more, but I ran out of stuff to put in it! Sharon provided me with the Handy Caddy Deluxe, which features four pockets on either side and a detachable carrying strap, along with the Handy Caddy Extra. The Handy Caddy Deluxe is an ideal option for quilters; at 15″ x 5″, it’s long enough to hold a standard quilting ruler. It easily held all the debris from my supply explosion above (plus I added a book because I still had more room), but once everything’s in there it only takes up a bit more than half a square foot. The Extra is the same size as the Standard Handy Caddy at 11″ x 5″, with three pockets on each side. It also includes a separate storage pouch and a detachable strap as well, which the Standard does without. I took my Handy Caddy Deluxe on a sewing weekend this summer. It saved me massive headaches even before I left my house. Did I remember my thread? Yup, there it was. Saw it in there from across the room. Rulers and scissors too? Check. Magazine with my quilt pattern? Yes. I carried the whole thing out to the car, strap over my shoulder. Then I popped the frame, complete with the caddy inside, into the trunk. Once I arrived, I got set up within seconds without having to unpack or search all weekend for my tools. I sewed at a 6′ table on my giant Janome behemoth, but I never felt like I didn’t have enough space. I kept the Handy Caddy right next to my hand wheel, and I easily kept track of all of my items. It was awesome. For garment sewists or English paper piecers, the Handy Caddy Standard or Handy Caddy Extra is a great bet. Having both the Deluxe and the smaller version makes it easy to keep everything separated and organized for those who dabble in different types of sewing. I now store my quilting rulers and quilt-specific items in the Deluxe and garment-specific items (twill tape, zipper feet, tracing paper, etc.) in the Extra. I’m organized at home but also ready to head out to guild sew days or retreats without agonizing over leaving anything behind. Overall, I’m super excited to have found this product. The Handy Caddy is a tremendously useful addition for anyone who struggles (or thrives) with organization. Interested in trying one out? Purchase any Handy Caddy and coordinating Tote now through September, and get $20 back when you email Sharon with your order number and mention this post! Posted in Tools of the Trade | Comments Off on Craft Room Rescue with the Handy Caddy! After a few years of Instagram stalking and quilt shop investigating, I’ve decided that wool felt is the redheaded step-textile of the fabric world. It gets a bad rap — you say “felt” and people think of the rough sandpaper at JoAnn’s and Walmart that’s called “craft felt” and made from a combination of polyester and, I’d imagine, fingernail clippings. But no. If you’ve had the chance to feel 100% wool felt, you know that it’s an entirely different material. Wool felt comes in a variety of thicknesses, and merino felt is the highest quality. A medium-weight merino wool felt will be soft and almost drapey, a far cry from the stiff material you might otherwise be used to. Thicker wool felts with more structure are also available for crafting purposes. Whatever you do, make sure the fiber content is 100% wool. 100% merino wool felt. Photo via Felt on the Fly. Felt itself is different from felted fabric: the first is made from raw sheep’s wool, which is then sprayed with water, pounded, and rolled to a specific thickness. There is no weaving of fibers involved. Felted fabric is wool woven fabric that is then treated by adding hot water, which causes the fibers to lock and fuse together. Some of the original woven texture still remains. Though projects involving felt (punch needle embroidery, needle felting, penny rugs and other forms of wool appliqué) still primarily fall in the “traditional” camp, here are some modern quilters and fiber artists who are doing amazing things with wool felt. And I think we should take note: with the beautiful stuff they’re making, it’s bound to be the next big thing. Mandy Leins of Mandalei Quilts is an appliqué queen, and her use of wool felt adds a fresh texture to the process. She incorporates really fresh designs, and does needleturn appliqué rather than whipstitch to secure her felt pieces to her background fabric. This makes them stand out on their own and lends a more updated, polished aesthetic to the piece, rather than giving it too much of a “crafty” vibe. Check out Mandy’s article on wool applique in the Winter 2016 issue of Modern Quilts Unlimited, and here’s a free pattern from that same issue. I also really love the work of Catherine Redford, who is a fiber artist working in African embroidery, wool applique, and modern quilting. She often adapts the work of other designers like Sue Spargo to fit her unique aesthetic, and it’s fun to see these differing techniques come together into ornate works of art. If you’re looking to go beyond handwork, I also really like the approach to using wool felt in lieu of leather in laptop bags and purses. Though not as weather resistant as leather, felt is super chic and is fun way to play with color in bags. Here’s a fun tutorial for a DIY laptop sleeve made with felt and fleece, and here’s another with two layers of felt. How do you like to play with wool felt? Right Sides Together launched two years ago this May, and one of our very first posts was a roundup of quilting apps for smartphones. It’s remained one of our most popular posts ever. That said, two years is FOREVAH in the tech world (and kind of a long time in the creative world too). So I’ve decided to gather a fresh slate of apps for your perusal and enjoyment! To my pleasant surprise, there are a lot of new ones with some great features to make designing, sewing, and finishing quilts a bit easier. Here are my top five. FCC disclosure: I use affiliate links, where I receive a small amount of each sale from each app sold (not counting free apps, obviously). Thanks for your support! Straight from the Missouri Star Quilt Company, this free quilting app provides hundreds of tutorials from Jenny Doan. 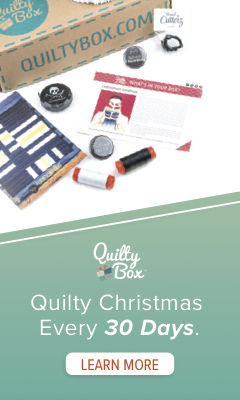 The vast majority are quilt blocks with Jenny’s tips, and each tutorial links directly to the MSQC so you can buy requisite supplies, but not in an annoying way. I really like the clean look of this quilting app, as well as the assortment of blocks that are “traditional” but not too boring or easy. Plus there are a few bonus tutorials like a sewing machine pad, a purse, and some pillows. Available for iPhone, iPad, and Android. I love apps that aren’t necessarily designed for quilting. Grid # imports a photo and then lays a grid over it. You know what Grid # is perfect for? Auditioning FMQ quilting designs! Simply export a photo with the grid size of your choice, then import it into a drawing app or print it out to practice your quilting motifs. Available for iPhone and iPad. Sometimes quilt design creates a lot of debris. There are swatches, scratch pads with calculations and rough drawings, notes to self, possible quilting ideas. Paper is cool because it combines all the “brainstorming” elements of quilting into one app, kind of like a big digital bulletin board. Sketch, make diagrams, jot down notes, add color swatches, and play around, all within one app. Plus it’s totally free. Available for iPhone and iPad. ColorSchemer is a (free!) Apple Staff favorite, and one of the most highly rated color palette apps on the internet. Create your own palette or browse over 1,000,000 (ONE MILLION) palettes shared by the COLOURlovers community. Plus you can enter in words and search by topic or mood (like “ocean”). That’s a lot of design options right in your pocket. Okay, so you might balk at the price of this app: $14.99 (for iPad only). But it really is like three or four apps in one, and it’s very well designed and implemented. Quiltography allows you to customize more than 180 quilt blocks, design your own quilt from those blocks, import a photo to create your own pixel quilt pattern, import photos of fabric and track your stash (and use those images in your designs), and calculate yardage requirements. I like to think of it as “EQ Lite,” and $14.99 isn’t a bad price to pay for that. What are some fun apps that you use for quilting? With the acquisition of a new serger over the holidays, I recently needed a different setup in my craft room. The cardboard desk I bought from IKEA six years ago and moved to a new house–not once, but twice–had seen its day. Like many work studios, my room used to be a formal dining room, and it has an open floor plan: an open walkway to a butler’s pantry, another eight-foot-wide walkway to the front hall. I decided I needed to maximize some of the space, and the best way to do that would be with a long, L-shaped craft table with a decent amount of storage. Sewing desk. Note the leg bending outward, ready to dump my sewing machine at any second. My desk doesn’t have enough storage, so I have to shove my serger under the cutting table and use side tables for additional storage and pressing. And here’s where I ran into trouble. I had fallen in love with the Elfa system (available in the U.S. through The Container Store), with its mesh drawers and customizable modular design. The drawer system would be perfect for my notions, tools, and whatever WIP I had going at the moment. The problem? The tabletops available through Elfa weren’t long enough. Putting them in a corner in an L-shaped configuration would leave just about 30″ of workspace on the short side: not really even enough for my chair. I do a lot of paper piecing, so I like having a big work surface where I can do small bits of cutting and pressing. IKEA has some nice long work tabletops, but their drawer systems are made of MDF and don’t have as much storage space, and I preferred the ones that Elfa had to offer. So I optimized: I bought two Linnmon tabletops from IKEA (one 79″ and one 38″), which were the sizes I needed and were $45 and $8, respectively. Then I bought the drawer unit and table legs during one of the Elfa sales at The Container Store. (I used Elfa legs and not IKEA ones so the table would be level throughout; the legs are the same height as the drawers.) I had to drill new holes in the bottoms of the tabletops to match the Elfa legs, but it was no biggie. The longer Linnmon tabletop needs an extra center leg, so I ended up getting one drawer system and seven legs all together. The biggest challenge was moving the Urbio storage system (also available at The Container Store) from one wall to another. I love my Urbio; it’s an easy and modern setup to store pens and pencils, scissors and rotary cutters, and the other little things we sewists need all the time. It does require some serious drywall screws, though, because it’s meant to hold quite a bit. I used that trick where you make a diagram of the wall holes using wrapping paper, and then drilled the holes through the paper onto the new wall. It worked well. I moved my pressing cabinet over to where my desk had been, next to the walkway to the butler’s pantry. The space is a lot better now because that doorway isn’t blocked by my desk and chair. I kept my little side table there, and now it’s better used as a storage spot for my iron and starch collection. The result of all this? A craft room that’s the best possible use of space, with a huge craft table with room for my sewing machine, serger, and cutting/pressing mat, a pressing cabinet for larger fabric, and a cutting table with storage space underneath. IKEA and Elfa may be competitors in the same space, but dang: they make some beautiful music together.